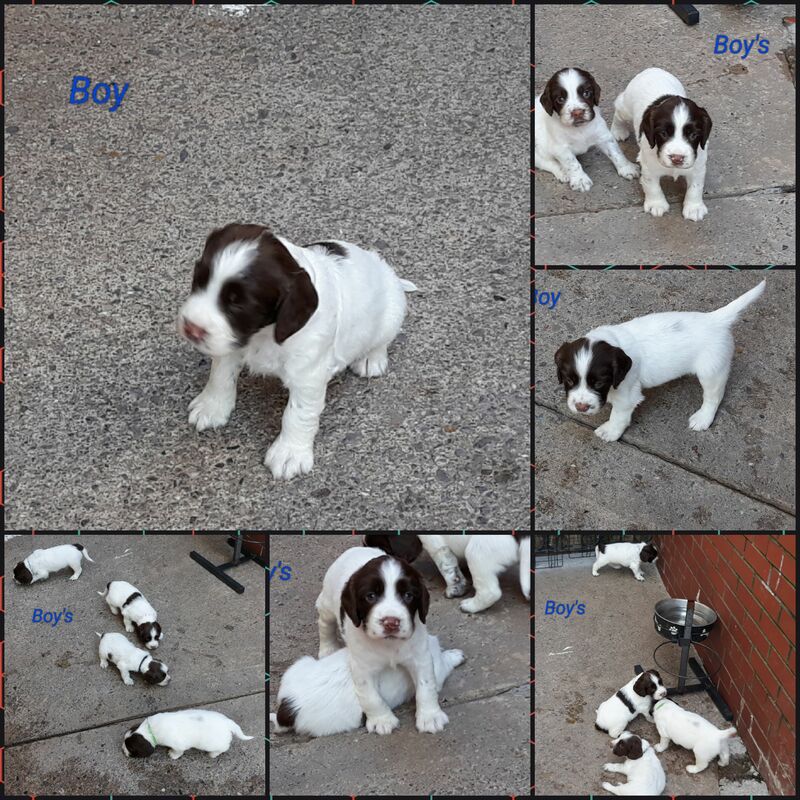 We have a litter of 4 boys and 4 girls all puppies liver and white in coulour . 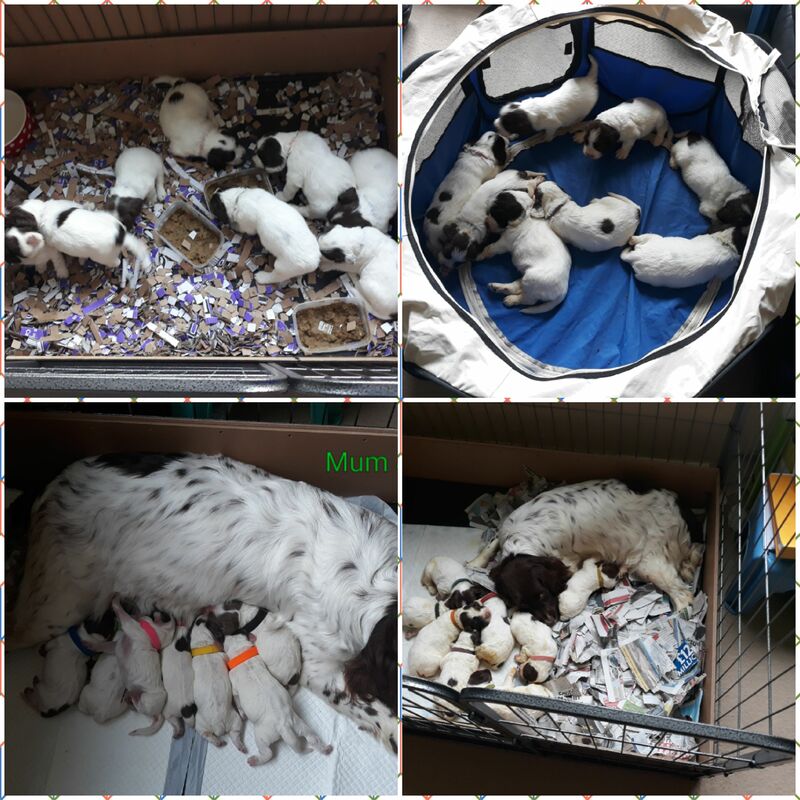 Puppies can be viewed with both mum and dad and have been handled regularly. Both mum and dad are family pets they both come from working background and will work with me if i take them. Puppies will be wormed microchiped and have first jab ready to go. 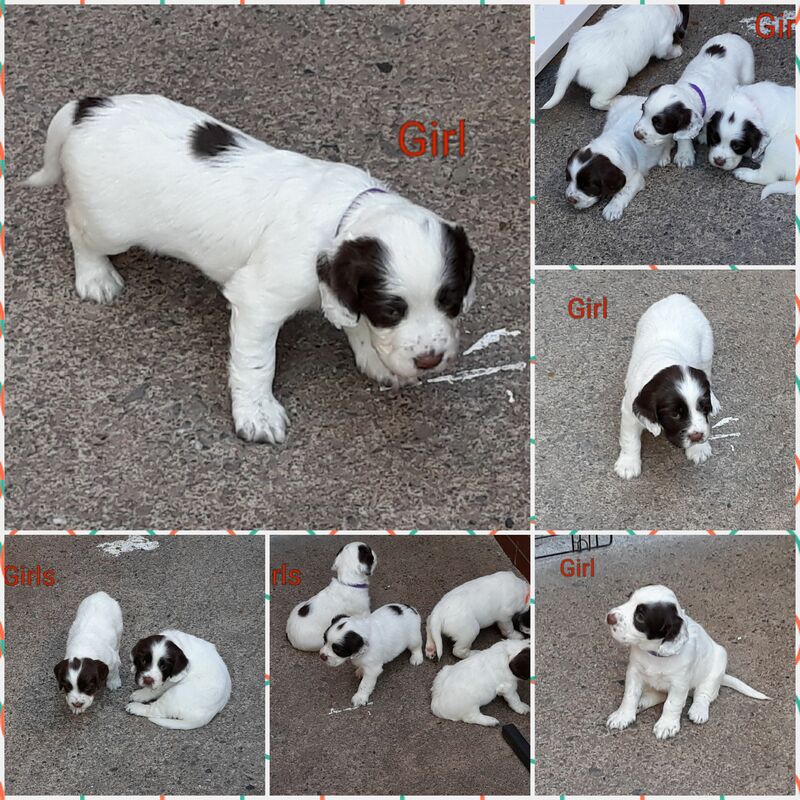 Only 2 boys and 4 girl left at the moment.